We are so excited about this month's issue. In this magazine you will find extraordinary artists, auction results, special art news and of course, the excellent art blogs of Art Market magazine's contributors. We wish you all pleasant reading and enjoyment. 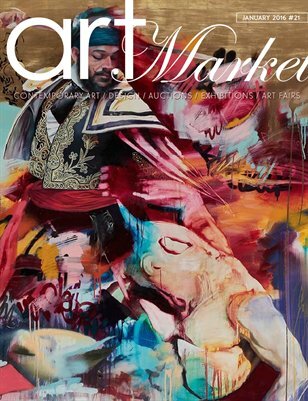 Art Market Magazine- Bringing you inside the global art world with more access and insight to the people, places and events that shape our industry. With deeper focus on auctions, art fairs and exhibitions from all over the world, interviews with the new emerging artists and coverage of the most updated and neat fashion&art collaborations. New style, New content, New International Art Magazine. Enjoy!